Coffee wrote:Please make sure your device is running Android 4.1+ and you're using the latest version of AirDroid. 1. For rooted devices, make sure your device has been rooted and you’ve granted AirDroid the permission needed to use AirMirror. i) You only need to do the settings of non-rooted Android for one time if you never reboot the phone. If you reboot your phone, you need to do it again. 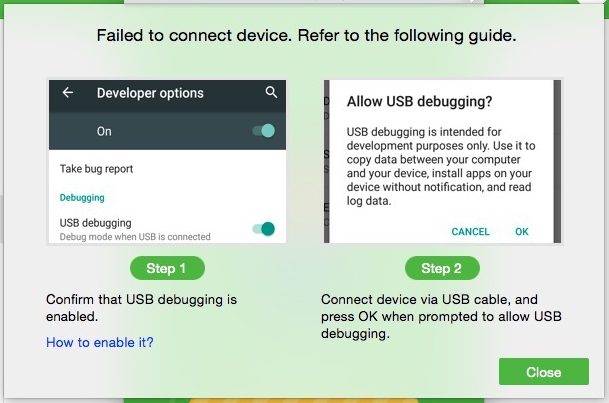 ii) If your device is rooted but AirDroid failed to get the permission, try using AirMirror in the non-root way. If everything is done correctly but you still cannot use AirMirror after many attempts, then your device is not supported now. Please kindly wait because we are working hard to improve it.